Obituary of Margaret Culpepper Todd (#1262), published 21 Nov 1997. Lula M. Culpepper, Daughter, F, Wh, 8, S, VA/VA/NC, None. Hamilton B. Culpeper, Son, M, Wh, 6/12, S, VA/VA/VA, None. + Hamilton B. Culpeper, 47017365, Oct. 14, 1909 - Jul. 30, 1957. 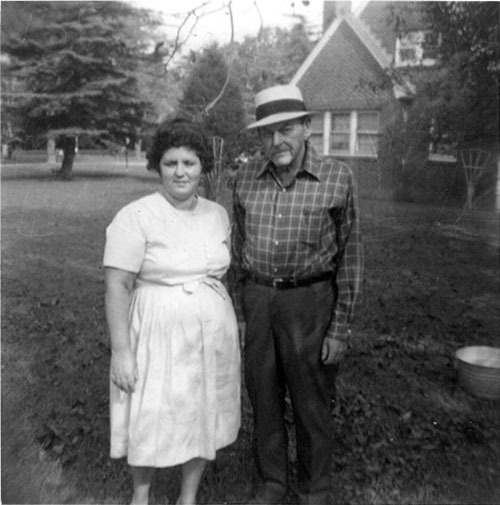 Paul Hamilton Culpeper, 310 N. Granby St, Richmond, VA, age 40, born 25 Oct 1877, White, Mechanic for Remington Typewriter Co. in Richmond; Nearest relative: Florence Culpeper, 310 N. Granby St, Richmond, VA, Medium Height, Medium Build, Gray eyes, Brown hair, no physical disqualifications; registered 12 Sep 1918 at Richmond, VA.
Hamilton Culpepper, Son, M, Wh, 10, S, VA/VA/VA, None. Florence E. Culpepper, Wife, F, Wh, 52, md@30, VA/VA/VA, None. Florence E. Culpepper, Lodger, F, Wh, 63, wid, VA, 1935 in same place. Hollywood Cemetery, compiler, Hollywood Cemetery, Richmond, VA, DCMHosting.Net, 2012. William E. Culpepper, Grand-Son M, Wh, 10, S, VA/VA/VA, None. James E. McFarland, Brother-in-law, M, Wh, 18, S, VA/VA/VA, Clerk-Drug Store. Presley Lee Culpepper, Bachelor Quarters, Hopewell, Prince George Co, VA, age 35, born 11 Jul 1883, White, _austic Checker for E.I. 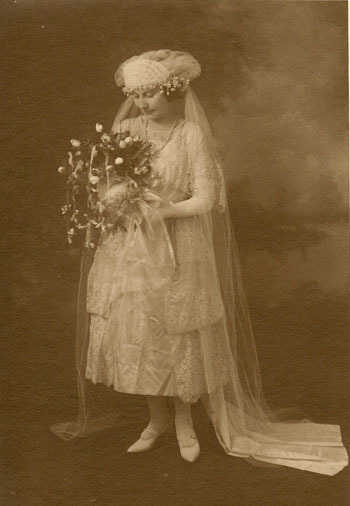 DuPont de Nemours & Co. in Hopewell, VA; Nearest relative: Mrs. P. L. Culpepper, 526 Ridge St, Charlottesville, VA, VA, Short Height, Medium Build, Blue eyes, Dark hair, no physical disqualifications; registered 12 Sep 1918 at Hopewell, Prince George Co, VA.
Lottie Lee Culpeper and Ernest Gordon Gibson, Charlottesville City, VA, 18 Jul 1921. Rea B. Culpepper, Son, M, Wh, 25, sng, VA, 1935 in same place, Salesman/Drug Co.
Roanoke Times, Roanoke, VA, http://www.roanoke.com/. Obituary for William E. Culpepper, 2 Mar 1999, Virginia Section, Page B2. William E Culpepper, White, Single, born 1909 in Virginia, residing in Roanoke (city), Virginia, enlisted as a Private in the US Army on 15 Sep 1942 in Roanoke, Virginia. Diane Mathena Records, Diane Mathena, e-mail address (2003), to Lew Griffin, 1998-2003. Elizabeth G. Culpepper, Daughter, F, Wh, 1 9/12, S, VA/VA/NC, None. Otto L. Culpepper, Cox, born in Portsmouth, VA, M, Wh, 18, md, VA/VA/NC. Robert Culpepper, Son, M, Wh, 11/12, sng, VA/VA/VA. Obituary of James V. Culpepper (#62482), published 1 Apr 2012. Ada Culpepper, Daughter, F, Wh, 3, sng, VA, 1935 in same house. Britton B. Culpepper, Son, M, Wh, 7, S, VA/VA/NC. Culpepper Project at FamilyTreeDNA.com, http://gen.culpepper.com/dna/results.htm[:WEB]. Alvin Culpepper, Grandson, M, Wh, 0/12, sng, VA/VA/VA. Obituary of Alwyn Hume "Al" Culpepper, published in The Virginian Pilot on Oct. 10, 2015. Thomas W. Culpepper, Son, M, Wh, 7, sng, VA, 1935 in same house. E-mail written Feb 2008 to Warren Culpepper from Thomas William Culpepper Sr. (#58066), Chesapeake, VA, e-mail address. + Culpepper, Henrietta 32550943, 1867 - 1911. Henrietta Culpepper, Wife, Wh, F, May 1873, 27, Md-8 yrs, ch 1/0, VA/VA/VA. John W. Culpepper, Jr., Son, M, Wh, 11/12, S, VA/NC/NC, None. Maurice L. Culpepper, Son, M, 1 7/12, S, VA/NC/NC. E-mail written 1999 to Lew Griffin from Michael Vincent Carroll. + Mildred Evelyn Culpepper Millner, 77222801, Aug. 2, 1906 - 1995. Maurice Culpepper, Son, M, Wh, 12, sng, VA/NC/NC. Margaret M. Watkins, Granddaughter, F, Wh, 14, sng, VA, 1935 in same house, Student. + Richardson, Blanche Elizabeth Culpepper 66870878, Apr. 5, 1915 - Jan. 1, 1988. Leon Culpepper, Son, M, Wh, 21, sng, VA, 1935 in same house, Apprentice Moulder Man/Lumber. E-mail written 2000 to Culpepper Connections from Robert Leon Culpepper (#39370), e-mail address. + Culpepper, Maurice Leon, 58699363, Jun. 5, 1918 - May 27, 1998. Obituary of Annie Culpepper Tuttle (#1284), published 25 Jun 1993. Mary A. Culpepper, Sister-in-law, F, Wh, 81, sng, born VA, 1935: Same House, unable to work. Mary Anne Culpeper, Aunt, F, Wh, 71, sng, VA/VA/VA. Britton B. Culpepper, Son, M, Wh, 27, sng, VA, 1935 in same house, Truck Driver/Own Truck. E-mail written May 2009 to Culpepper Connections from Daniel Edward Culpepper (#60253), e-mail address. Reuben A Culpepper, White, Male, married Pauline Marie Leckliter in 1915 in Pasquotank Co., NC. E-mail written Aug 2009 to Culpepper Connections from Kristin Lea Marland Smith (#60485), e-mail address. Audrey Culpepper, Daughter, F, Wh, 1 6/12, S, VA/VA/MD. Walter A. Culpepper, Oct. 28, 1894 - Jan. 3, 1982 (Plot N-041). Dora Leckliter, Mother-in-law, F, Wh, 54, md@20, VA/VA/VA. Ardyne Culpepper, Daughter, F, Wh, 21, sng, VA, 1935 in same house, Teacher/School. Walter R. Leckliter, Jul. 5, 1874 - Sep. 13, 1944 (Plot A-082). Lucy Dora Leckliter, Feb. 22, 1874 - Feb. 14, 1957 (Plot A-082). From an electronic copy of a Gettysburg Times article entitled "Man Dies in Local Motel." Reuben A. Culpepper, Aug. 19, 1894 - Jan. 4, 1963 (Plot A-082). Pauline L. Culpepper, Mar. 2, 1898 - Jun. 9, 1976 (Plot A-082). Walter A. Culpepper Jr., Son, M, Wh, 7/12, sng, VA,. Addie Lee King Culpepper, Jun. 13, 1914 - Feb. 22, 1978 (Plot N-041).